No matter how hard you try, somewhere along the line, something you do is going to be taken the wrong way. It doesn't matter if it's a compliment or a critique — nothing comes without an equal and opposite reaction, especially in this trigger-happy world. 1. This is the reason Stephen Hawking warned us about artificial intelligence. Sure, smartphones make life easier, but did you know that they’re also plotting to take over the world? Didn’t think so. 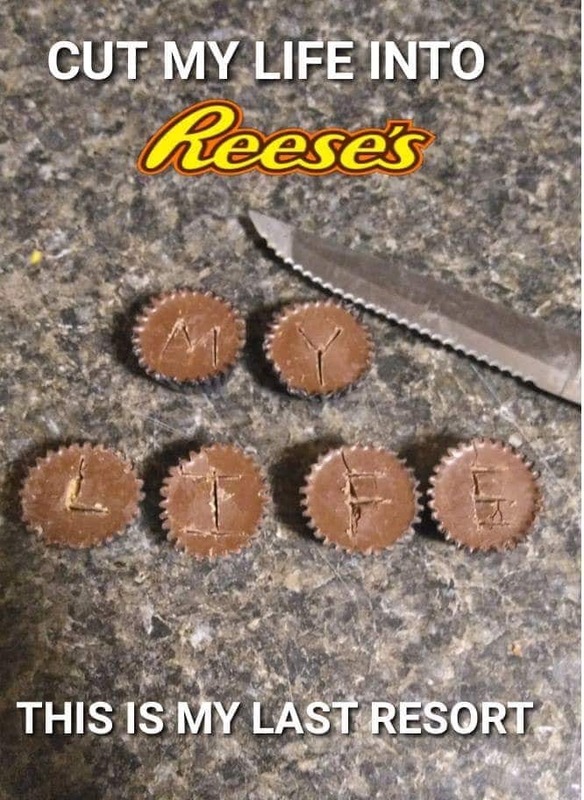 Regardless, don't ever cut your Reese's into pieces. That's just sheer insanity. 3. Shell should really get that truck fixed up before people starting thinking their drivers have some very important shipments headed straight for hell. That’s one sad-looking hunk of metal. 4. At least she made you a sandwich. Sure, the bread's super thick and probably impossible to eat, but it's still better than nothing. So just keep that in mind while you're complaining. 5. I guess someone forgot to take his own advice. Although, I doubt that the driver had anything to do with the truck’s design. 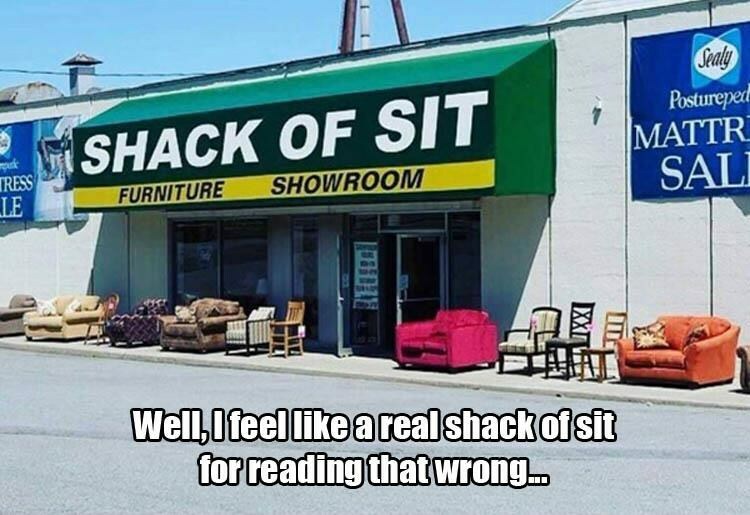 Regardless, it’s still just as ironic as it is funny, so why not include it in here? 6. 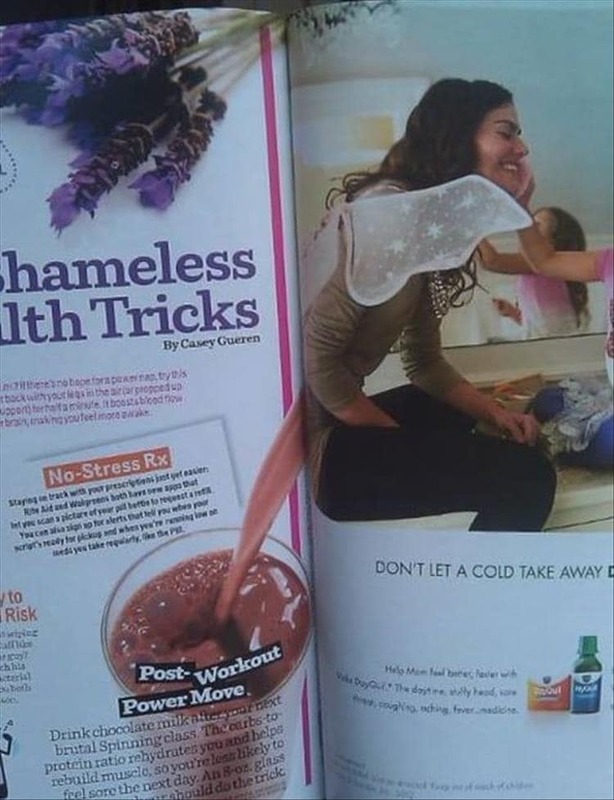 I guess someone really needs to start thinking about ad placement before they send anything to the publishers. This woman looks like the happiest person to ever have liquid diarrhea. 7. 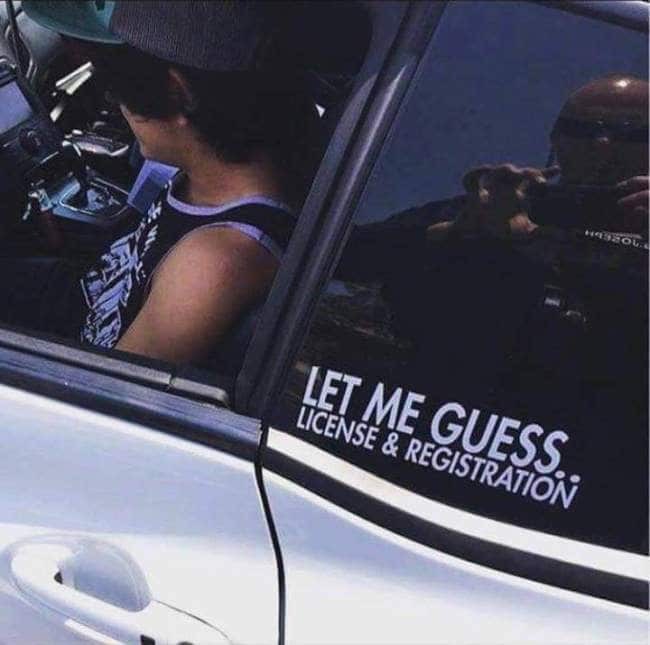 You just know that the cop is definitely not going to find this as funny as this driver does. But then again, it's kinda part of the sticker's overall appeal, don't you think? 8. Okay, so I also mistook this bag of dead leaves for an adorable dog, and you can bet that I feel super stupid about it. There's nothing worse than thinking you see a dog but then realizing you haven't. 9. Technically, they got what they asked for. Personally, I think this present is pure garbage. If you're this literal with your gift-giving skills, then you need to stop giving gifts. 10. 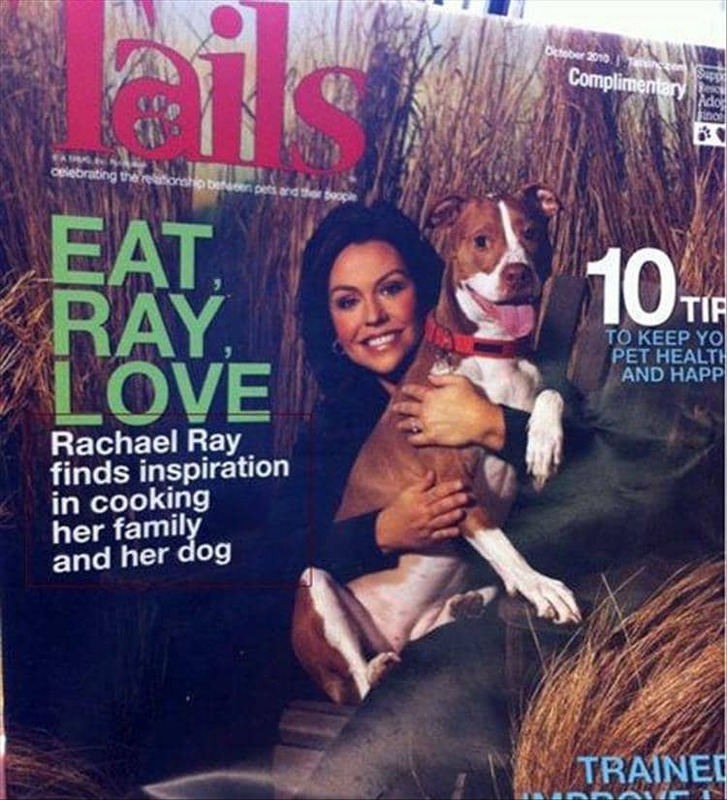 This cover caption could use a comma or two, just for safety purposes. If this is supposed to be taken exactly as it is written, then someone better get in there and save that family dog. 11. Marge Simpson's iconic hairstyle never looked so luscious. This is what happens when you put some time and effort into beautifying your city. If Marge can dress up this ugly old pole, then you can brush your hair every morning. 12. I definitely did not read this properly the first time it crossed my path. I betcha can't say this three times fast in public without turning a few heads. 13. Clearly, this goose isn't going to stand by and be discriminated against just because of the wrongdoings of a few rogue geese. If anything, this is discrimination, and you can bet I'll be filing a complaint. 14. I don't understand how things like this happen in 2018, but alas, here we are. In case you were wondering, he did, in fact, eat the Frankenstein sandwich because of hunger trumps everything else. 15. I know this is supposed to be a joke, but for people as gullible as I am, this is straight-up savage. If this is the beginning of a zombie apocalypse, please just let me opt out before things get messy. 16. 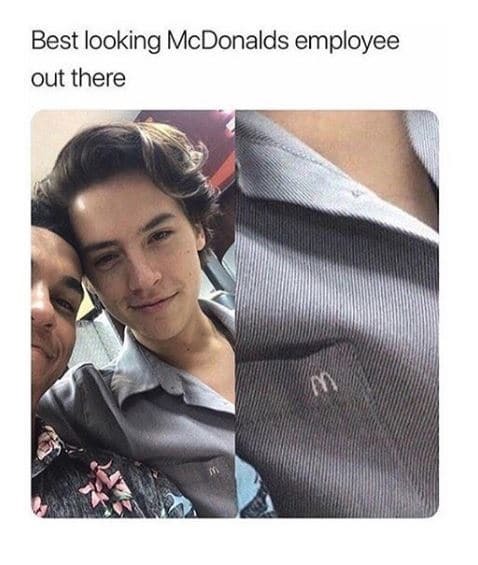 Although he definitely doesn't work at McDonald's, he's still working overtime in our hearts. But if he did work at McDonald's, you just know I would be all up in there regardless of my dietary restrictions.